Taiwan’s capital city is underrated, but oh boy, it’s a gem of a find! See Take the high-speed elevator of the Taipei 101 to the indoor and outdoor observation decks. It is a fast ride. 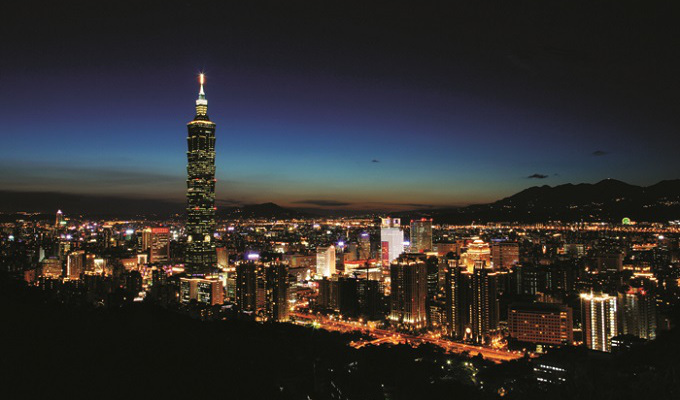 Catch your breath before appreciating the unparalleled views of Taipei and its vicinity. Do Get on the Maokong gondola and find yourself in the mountains. Stop at the last station for its row of tea houses, then time your trip so you’ll catch the best sunset of your trip while snacking on dried guava – the local specialty. Shop Head to the night markets for its fantastic food, clothings and souvenirs. Shilin is food oriented. Try the fried oyster omelette, fresh seafood and stinky tofu. At Wufenpu Market, you’ll go giddy with t-shirts playing puns on the English language. Stay Hotel Quote Taipei is a beautiful boutique hotel that surprises with its chic design and great breakfast. Munch on the complimentary fruits and snacks in the lounge, then unwind in stylish rooms that have BOSE sounds system! Royal Brunei Airlines flies Kuala Lumpur double daily for connections to Taiwan. There are currently no comments on Taipei. Perhaps you would like to add one of your own?